NOTES: Phin was named after her seven-time great-grandfather, Phinehas Briggs, who was a minuteman at Bunker Hill and other battles during the Revolutionary war. We have known since very early on in my pregnancy that Phin was having a hard go of itso the name of a fighter seemed perfect for our little one who has worked so hard to soldier on. 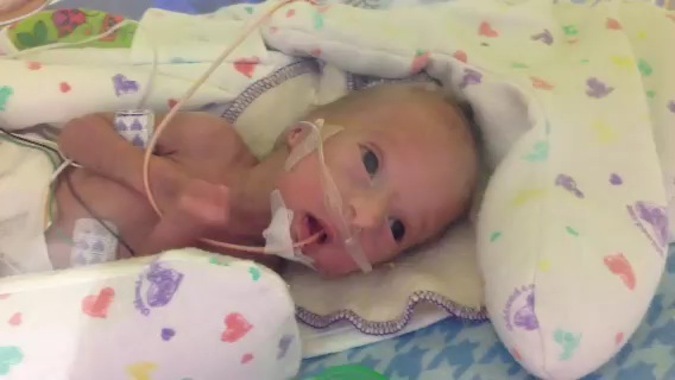 "There's no question that having a little one in the NICU is serious business. And even though I'm there every day, nearly all day, I still find some things intimidating - but my good friend Nancy Rose Gossett's reaction to the kind of mask Phin has to wear has had me smiling all day - "the breathing apparatus made me think immediately, and maybe it's silly, of a cosmonaut, the early space exploration images, of this seemingly tiny person out in this quiet, new, and magical world". This, before she even saw Phin's glowing hand. 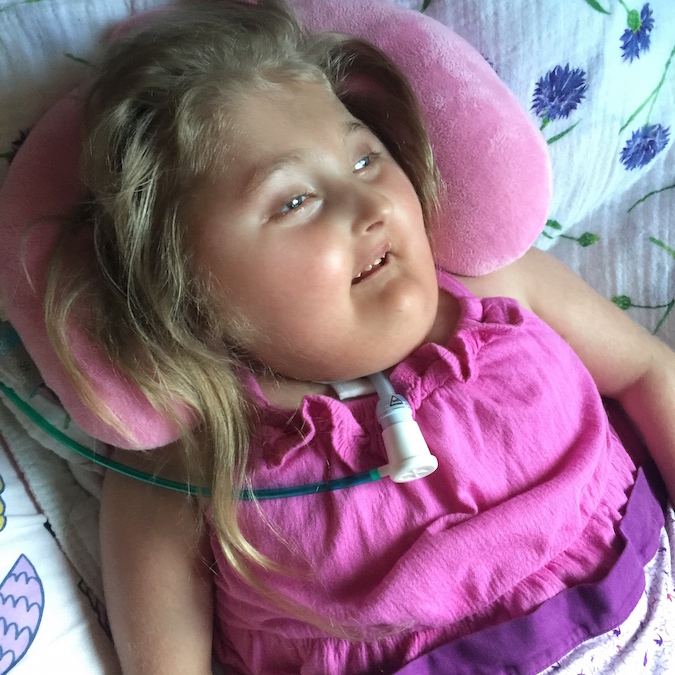 So here's our little space explorer, resting after a day's adventure..."
Mother: Lori Ann DOTSON b: 07 Oct 1973 in Westfield, Chautauqua County, New York. 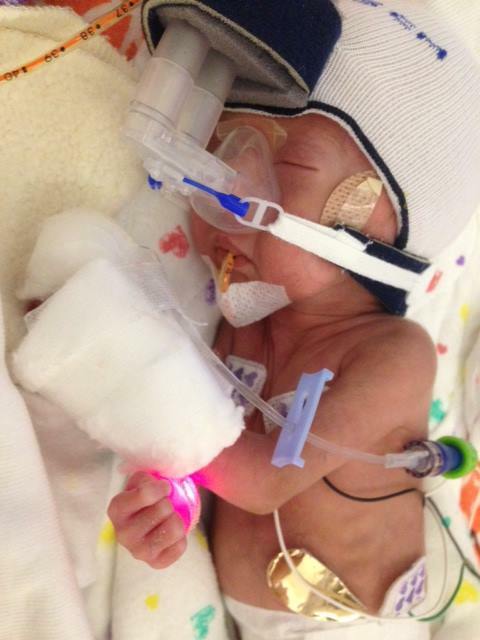 01/31/2014 in the Roseville NICU. 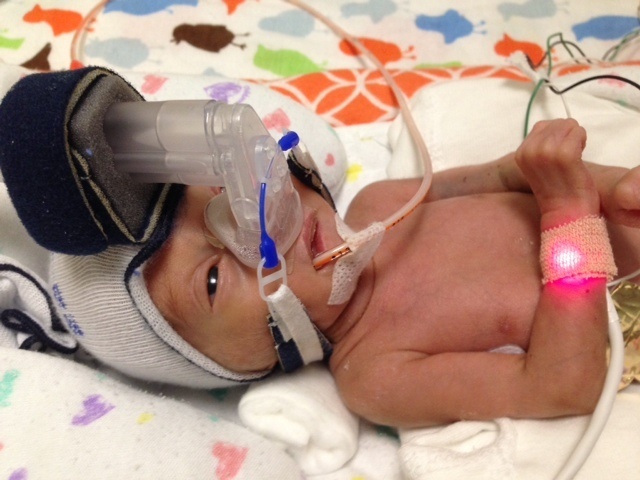 Early days, wearing headgear in the Roseville NICU. 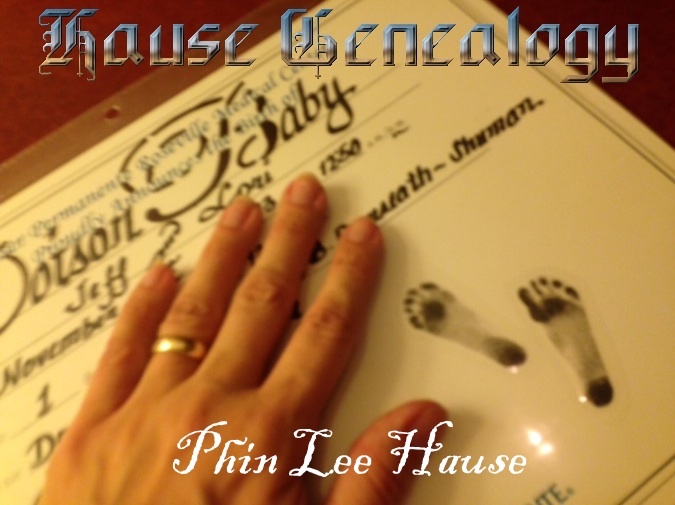 VIDEO: Introducing Phin Lee Hause, 11/1/2013. VIDEO: Phin's first year (Music: "Be Still" by Los Lobos). VIDEO: Christmas 2014 (Music: "Jingle Bells" by Sammy Davis, Jr.). VIDEO: Phin's second year (Music: "You Make Loving Fun" by Fleetwood Mac).